An ensemble of contrasts - straight lines paired with rugged natural stone look characterize the Slate Rock bathroom range. Using high quality materials like stainless steel in square design in polyresin and slate-look elements give the series an elegantly natural look. 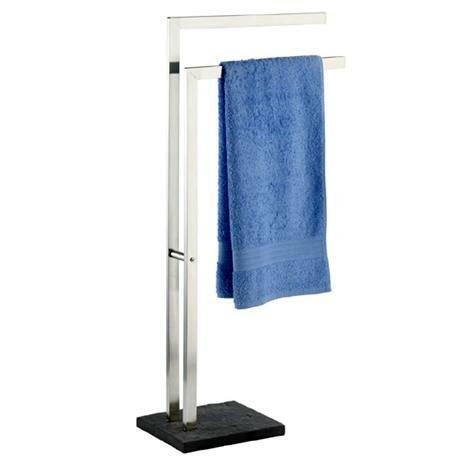 The towel and garment rack offers space for towels and clothes in two stages arranged in parallel running arms. Its massive, rectangular base plate for stability and support. I had been looking for something for my bath towels to match my black slate and stainless steel bathroom , not only matches its a very good design , without having to bend your towels over a towel rail thus enables you to slid them on,Very neat product .Excellent Quailty .